I discovered Bauhaus in 1982, and Bela Lugosi’s Dead, In the Flat Field and Mask were essential listening for the next ten years. I think Mask is an underrated LP – both as a Bauhaus LP and as a goth LP – it is dense and dark and contains some fantastic moments of high camp (Of Lillies and Remains anyone? “In the marbled reception hall I received a three band gold ring from Mark – a token of esteem. Running through ghost closet locker rooms, to hide from Peter, who has fallen to the old cold stone floor, wheezing and emitting a seemingly endless flow of ectoplasmic white goo from ears and mouth…”). But Mask also contains many of Bauhaus’s finest moments, of which Kick in the Eye is definitely one. 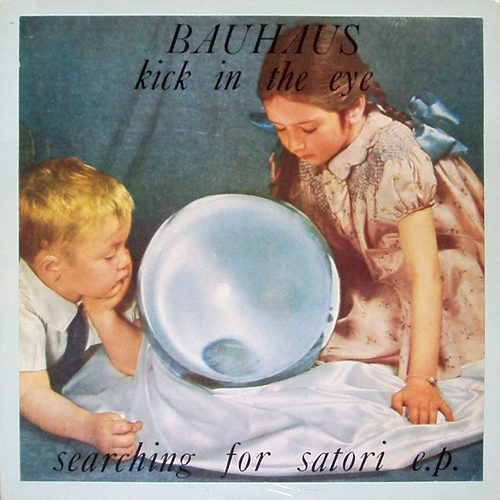 So thirty years ago this month – February 1982 – Bauhaus released the EP with a thousand names – Kick in the Eye EP, Kick in the Eye (Searching for Satori), Searching for Satori EP, etc. The lead track, Kick in the Eye, had already been released as a single in March 1981, but the version on this EP is a remixed (re-recorded?) 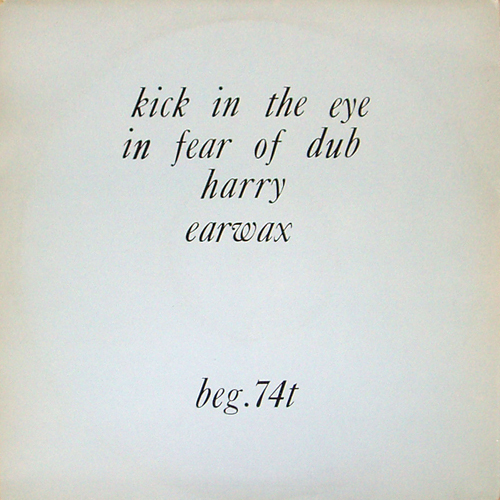 version, and is the same version as appears on Mask (titled “Kick in the Eye 2”) – dry, stripped down and bass heavy. I didn’t really get Kick in the Eye for a long time. Bauhaus were typified by the massive sound they had architected on Bela, Dark Entries, Stigmata Martyr, In the Flat Field, the Passion of Lovers, etc. – the rock sound. But in David J – bass player extraordinaire – they had a real funk edge, and could deploy similar to the white-boy funk groooves of Gang of Four. Kick in the Eye is his piece de resistance – A funk work-out of the highest order.